We are very grateful to My Box Office for giving a generous donation of £500! They made this donation at the perfect time, as it was just before the new school year started! 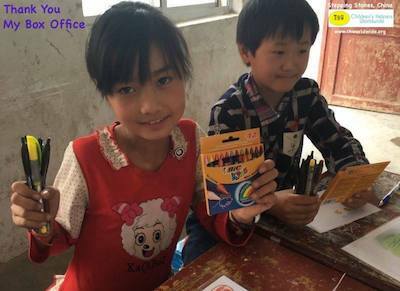 We had almost raised enough to sponsor teaching materials for the migrant children at Stepping Stones’ educational programmes in China, and still needed £180 to be able to provide funding for the whole semester. We were able to use part of My Box Office’s donation to complete this project. The rest of their donation went towards helping two of the young people in Romania and Ghana. Ana lives at Casa Mea’s children’s home in Romania. She is 14 and has just started Grade 8. 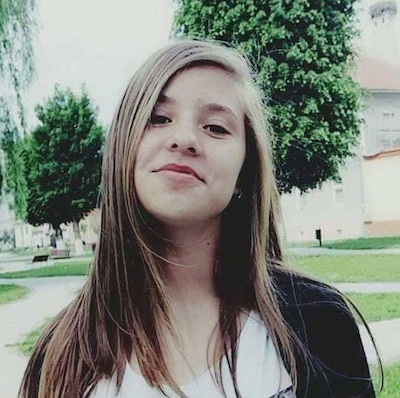 In Romania, the exams taken at the end of Grade 8 determine whether or not a pupil will be able to go to a good high school in Grade 9. Ana is doing well in most of her subjects, but she needs further help with maths. Felicia, the home’s administrator, has arranged for Ana to have extra maths tuition. My Box Office’s donation will help to fund over two months of this tuition. CHW helps young people, as well as children, particularly those who have grown up at, or received assistance from, our partner projects. Isaac grew up at New Life’s Children’s Home in Ghana. 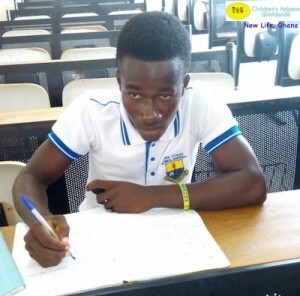 He wanted to study Mechanical Engineering at Cape Coast Polytechnic. Working together with New Life, we have been able to assist Isaac and he has just started his second year of studies. As well as proving funding for Isaac’s tuition fees, we also raise funds to be able to provide him with a stipend for food. My Box Office’s donation has helped to provide Isaac with food. Isaac is very grateful for this help. Thank you very much to My Box Office for making a difference in these children’s and young people’s lives! With thanks to Cui at Stepping Stones, Felicia at Casa Mea and James at New Life for these photos.